Whether aboard the latest carbon fiber, full-suspension super bike or a trusty steel hardtail, optimizing tire pressure for one's body weight, riding style and terrain is essential to achieving maximum control. Like many riders, I have several gauge-equipped floor pumps in my garage, yet none of the readings are ever consistent. For at least the last five years, before each ride I've dialed in my pressures with the Schwalbe Airmax Pro digital gauge ($25). Whenever I travel to ride, one of the first things I toss in the gear bag is the Airmax Pro. I'm not the only one who's been relying on this device for a while–I've witnessed veteran World Cup mechanic, Jacy Shumilak, reaching for this same model when setting up tires for World Champions Sam Hill and Troy Brosnan. The minimalist AirMax Pro weighs 3 ounces and uses a thin CR2032 battery. A single button powers the device on and off, and also toggles the display between psi, Bar, KPA, and kg/cm2 units of measure. 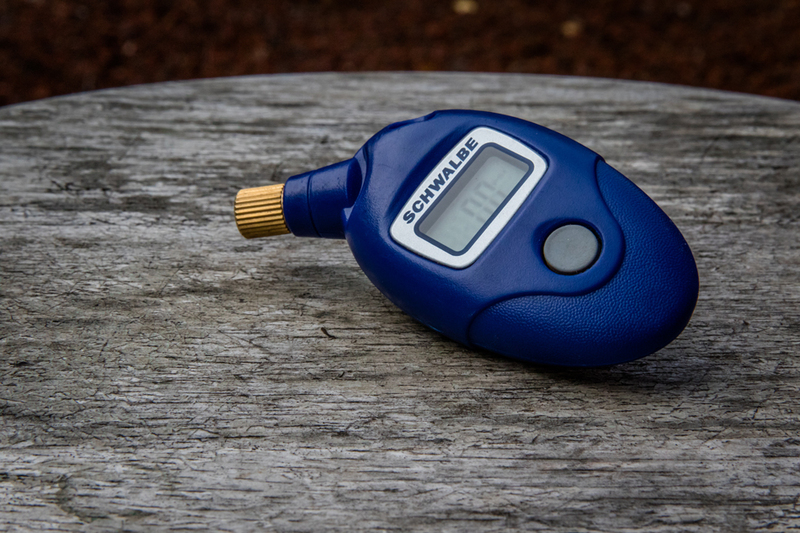 The Airmax is compatible with both Presta and Schrader valves and displays psi readings to the tenth of a pound. After the desired air pressure is achieved, the Airmax conveniently saves the last recorded measurement for a reference. Holding the button down for two seconds resets the device completely. 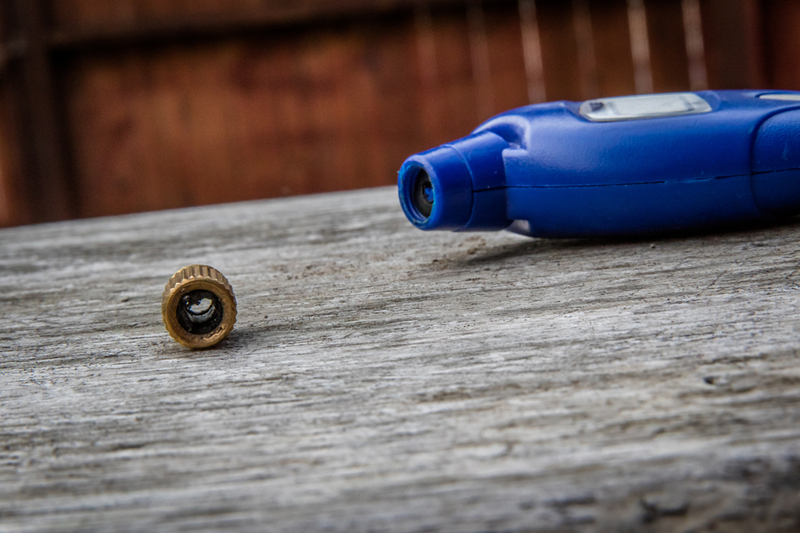 After using this gauge for nearly every ride for several years, the o-ring has become knurled up, and dried tubeless sealant has built up inside the copper valve head. Most of the excess sealant can be removed by hand, while the abrasions on the o-ring haven't affected the gauge's performance. The latest tire sizes and widths are common subjects of trail-side chatter these days. The ability to reliably measure, record, and experiment with these settings is extremely beneficial in helping one find the ideal setup on those large-volume designs. The Schwalbe Airmax Pro may only weighs a few ounces, so perhaps it’s no surprise that it pulls its weight when it comes to precise tire setups.